A trending ingredient in the cosmetic and beauty industry, precious gemstones are increasingly making their way into skin care products where their mineral-rich composition penetrates the skin to deliver glowing results. 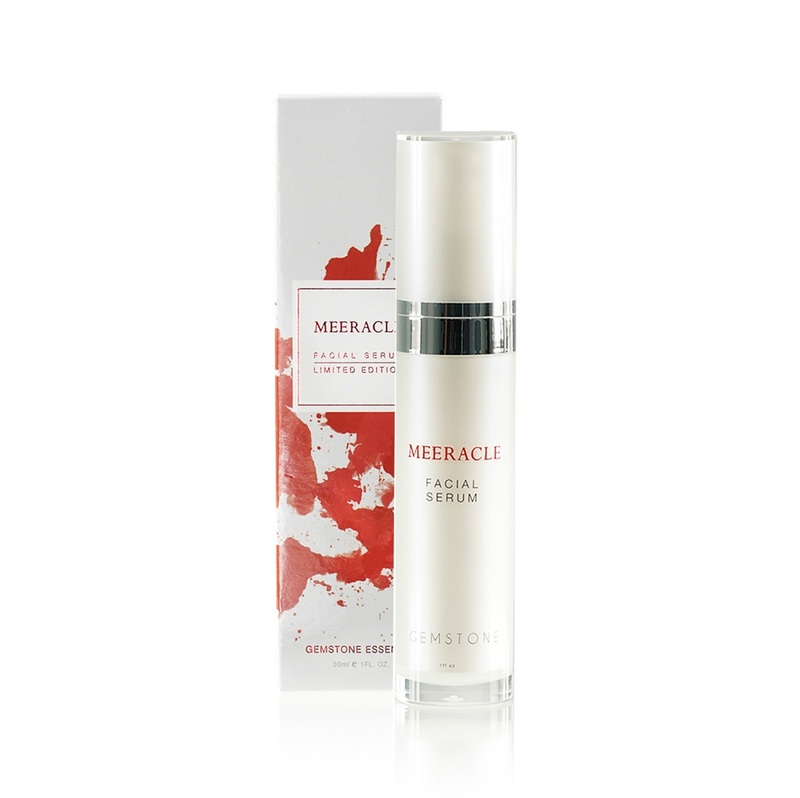 Proudly Malaysian, Meeracle is the first brand in Asia to introduce skin care products made from a breakthrough gemstone formula comprising diamond, ruby and pearl extracts. A unique blend of extracts from the three precious stones, the propriety gemstone formula is sourced from France and is specially formulated to leave skin radiant, youthful and flawless. A natural exfoliator, finely ground diamonds is gentle to the skin and helps to even out skin tone while minimizing the appearance of scars and fine lines, leaving skin looking smooth and radiant. The powerful red ruby restores skin’s health and radiance as it helps treat skin infections, detoxify and purifies, improve blood circulation and nourishes the skin leaving it with a rosy complexion. Prized for its iridescent glow, pearls bring many benefits to skin with their moisturizing, anti-aging and lightening properties that also help skin retain its elasticity and radiate fairness. 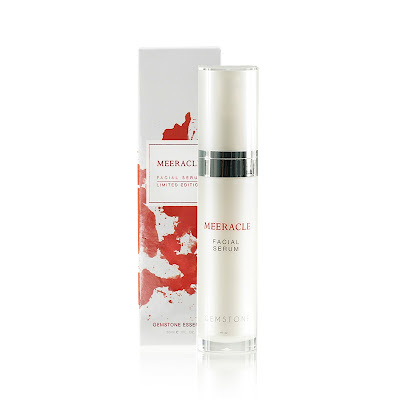 The unique gemstone formula is the signature ingredient in the Meeracle range of products which are further enhanced with natural active ingredients to bring about the best results. The new and improved, lightweight and easily absorbed Meeracle Facial Serum 30ml (RM79) also contains 23 natural active ingredients to bring about noticeable difference in a short time. The Meeracle Facial Cleanser 50ml (RM49) also contains malachite, another gemstone that helps control excess oil and has anti-bacterial properties to treat acne problems. This cleanser also contains the proven ingredients of soothing aloe vera and anti-aging green tea, leaving skin feeling pure and refreshed after every wash.
Best used together as a set, Meeracle Facial Serum and Cleanser are suitable for all ages and skin types. Founded by Meera Nordin and produced by Edelsteen Sdn Bhd, the Meeracle skin care range was created after many years of research with a pharmaceutical research team. “We believe in investing in R&D to bring consumers high quality and safe products. We spent 2 years in product development for the Meeracle Facial Serum before launching it and we also spent a lot of time to create the ultimate formulation for our Facial Cleanser with malachite which we launched last year,” said Meera Nordin. For more product information and nearest dealers, visit www.meeracle.com.my or Meeracle on facebook.